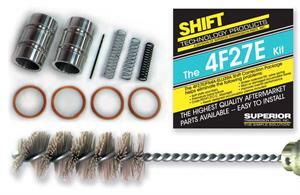 The 4F27E kit includes Superior's patent pending billet 1-2 and neutral/ drive dual sealing ring accumulator pistons. 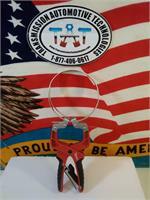 This kit also contains one of our patent pending Accumulator Buddy brushes so no other tools or fixtures are required. The pistons and brush allow you to reuse previously discarded cases that would not have sealed due to premature ware. The 4F27E kit also includes a new, stronger solenoid pressure regulator valve spring to replace the frequently broken stock spring.